In 2017, Mazda sold around 1.6 million cars across the globe – its highest ever total. You’d think that tidy number would slot them comfortably in the top 10, didn’t you? In an age where multi-brand groups or alliances rule (VW, Toyota and Renault-Nissan groups all topped 10 million each), 1.6 million would only place Mazda at a modest 15th place, behind the likes of Honda (7th at over five million units), Suzuki (10th at over three million units) and even Geely (13th at close to two million units). Kudo espouses Mazda’s vision to always produce cars that fulfill lives, yet be gentle on the environment. 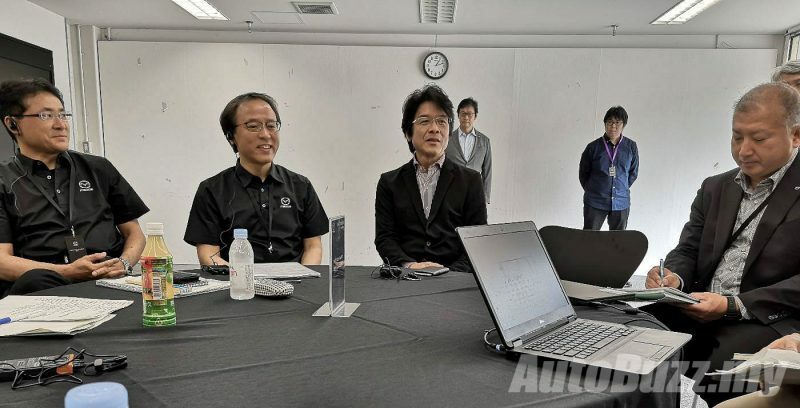 “Mazda is still small, our resources are limited, besides we have no intention to become a big manufacturer like Nissan or Toyota,” said Hidetoshi Kudo over small talk on the eve of the Mazda Asian Tech Forum 2018. Kudo carries a lengthy job designation and a weighty responsibility to match, it reads as ‘Executive Officer in charge of R&D Administration and Product Strategy’. Five consecutive years of growth, but is it enough? It’s almost alien these days to hear an automotive executive not talk about growing sales numbers or paint a rosy picture of how a brand is going places. After all, Mazda is on the back of five consecutive years of sales growth (globally), but to profit in this cutthroat business, surely it has to sell more cars. Maybe Kudo-san is just being humble. But as the Mazda Asian Tech Forum 2018 (held at the Mine Proving Grounds in Nagao, Japan) unfurled the next morning (on a Sunday no less), it soon became clear this is a car company that is charting its own course. A test mule fitted with the next-generation Skyactiv-X powertrain and technology. Instead of painting a future of electrified vehicles driven by computers, like so many others are doing, Mazda is convinced that the good old internal combustion engine (ICE) has much more to offer in the next generation lean-burn compression ignition Skyactiv-X engines (which we will cover in the next installment), but more importantly, pleasing the driver and passengers is central to that vision. Don’t fret, Zoom-Zoom is alive and well. It’s not that Mazda doesn’t love polar bears or thinks global warming is a hoax, it’s just that it adopts a more holistic view in how greenhouse gases are tabulated while still meeting regulatory compliance. 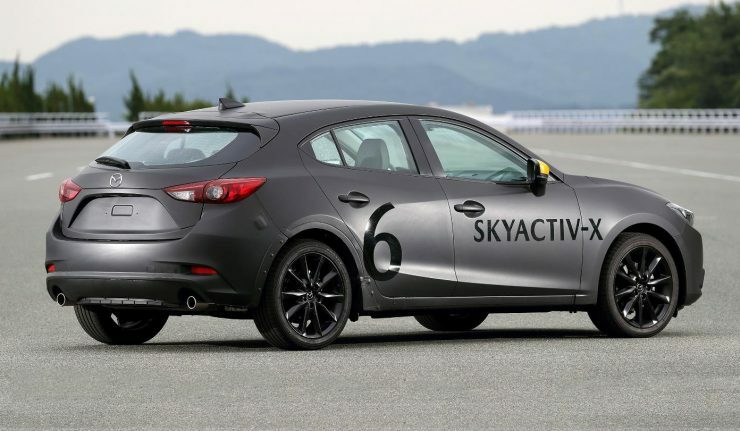 Mazda takes into account emissions from well-to-wheel (not just tail-pipe) and from the production and disposal life-cycle of a vehicle. It aims to reduce corporate average well-to-wheel emission to 50% of 2010’s level by 2030. 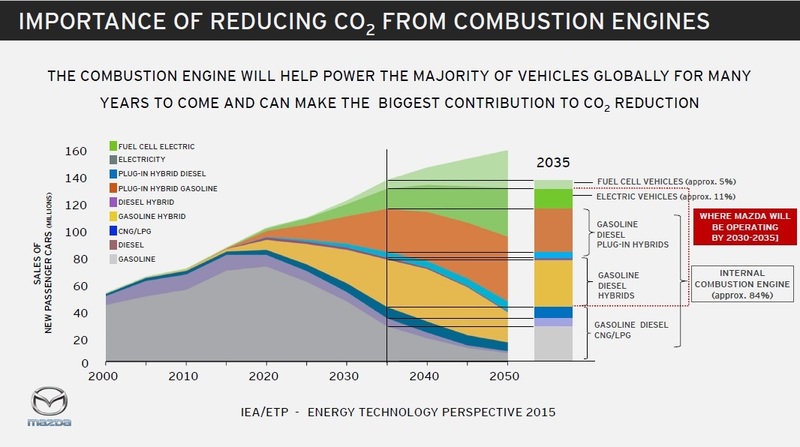 This study by IEA says that ICE will still factor in 84% of all new vehicles in 2035. According to International Energy Agency’s 2015 Energy Technology Perspective (which Mazda quoted), internal combustion engines would still be present in 84% of all vehicles sold in the world in 2035, with the majority being hybrids (plug-ins or otherwise) while the remaining being pure EVs. There are other studies which are more bullish on electrified vehicles but Mazda is working on the premise that the transition to pure electric will be gradual, and that improving and refining internal combustion technologies along with a shift to renewable power sources and best environmental practices remains the most realistic way to combat CO2 in the foreseeable future. Of course, the best laid plans can easily be scuppered by policy changes by governments, e.g. the ban on ICE-powered cars could be brought forward in Europe. To this end, Mazda targets to launch mild hybrid models and even a fully electric one (rumoured to incorporate a rotary engine for on-board charging) as soon as next year. 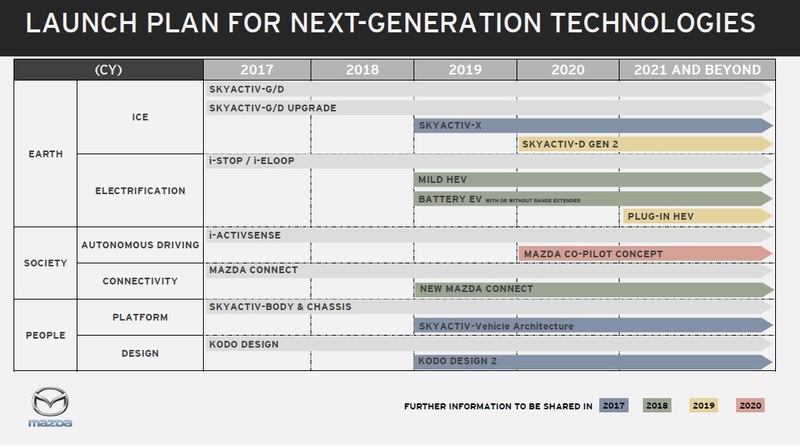 Better late than never: Mazda to launch mild hybrid models and even one EV by 2019. Interestingly, a plug-in hybrid won’t be ready till 2021, which only serves to highlight just how complex it is to develop a vehicle with a dual-power source as opposed to a straight EV. 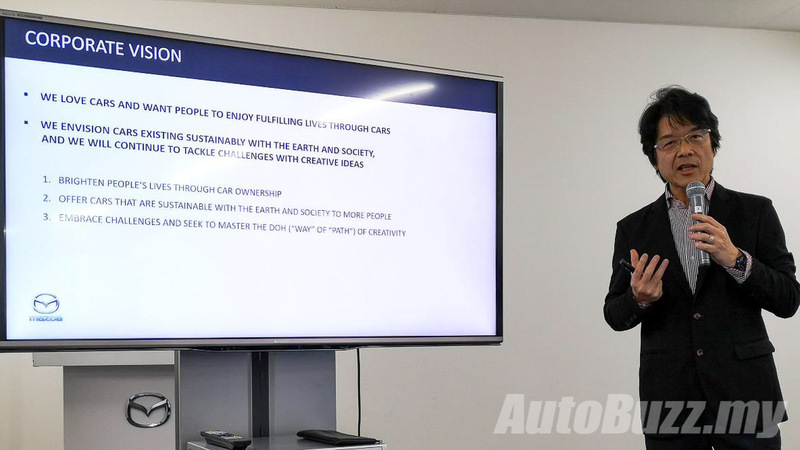 Kudo also alluded to the growing collaboration with Toyota on future EV models sharing the same platform. 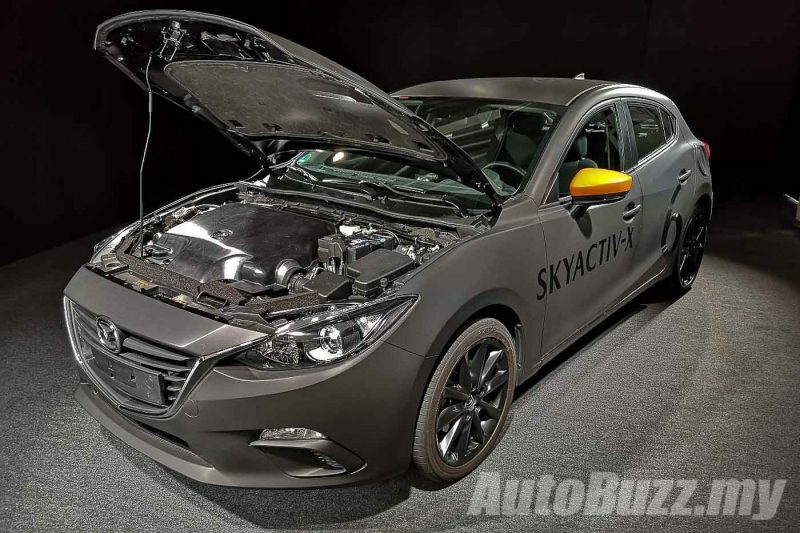 Though few details were revealed, this may well be the safety net for Mazda to fall back on. 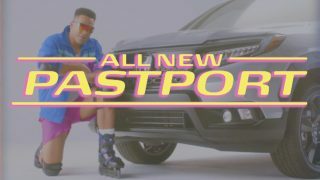 The reality is, that has become increasingly difficult, if not impossible for independent carmakers to stand toe-to-toe against multi-brand conglomerates with economies of scale. Mazda is an exception to the general rule, perhaps no longer as left field as when it championed rotary engines (which didn’t quite work out) but still plucky enough to be producing the MX-5 Miata roadster as well as a range of mainstream cars that are genuinely good to drive while returning class-leading fuel efficiency. That Mazda is betting on ICE is a gutsy move on its own, it won’t be an easy ride in this period of transition, but nothing good is ever easy to do.